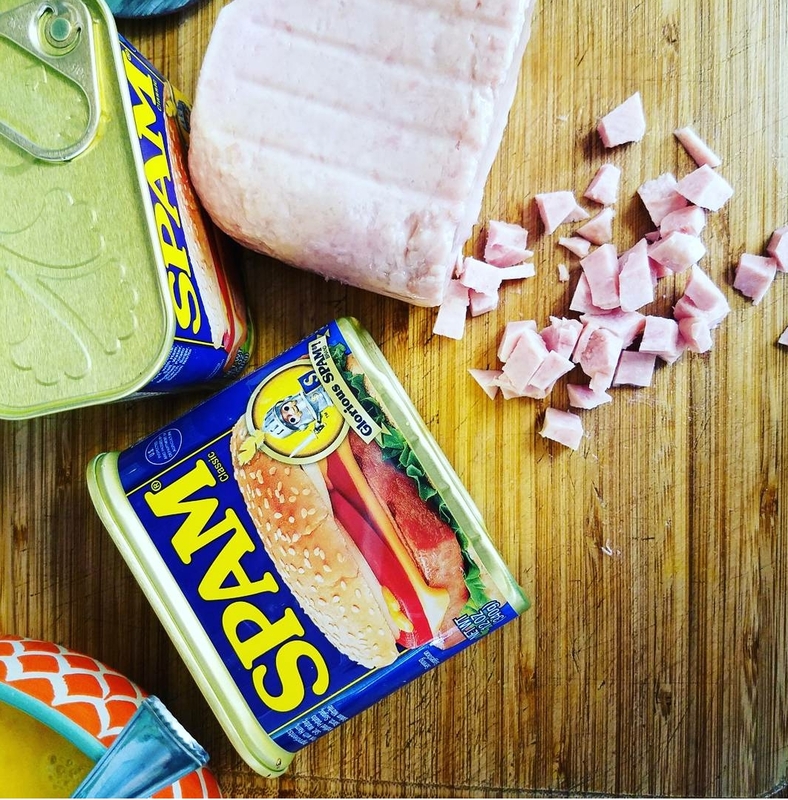 We have lived in Hawaii a little over a year now, and I have yet to incorporate Spam into my cooking. If you are unfamiliar with the food over here in Hawaii, there is lots of looove for Spam. And whether you are a Spam lover, or a Spam skeptic, it has its place here in the local food culture. Spam Musubi is everywhere. Picture Nigiri, but roided up size. Spam Loco Moco, Spam breakfast plates, fried Spam Sandwiches… hell, if you go McDonald’s, they have Spam in their breakfast plates. 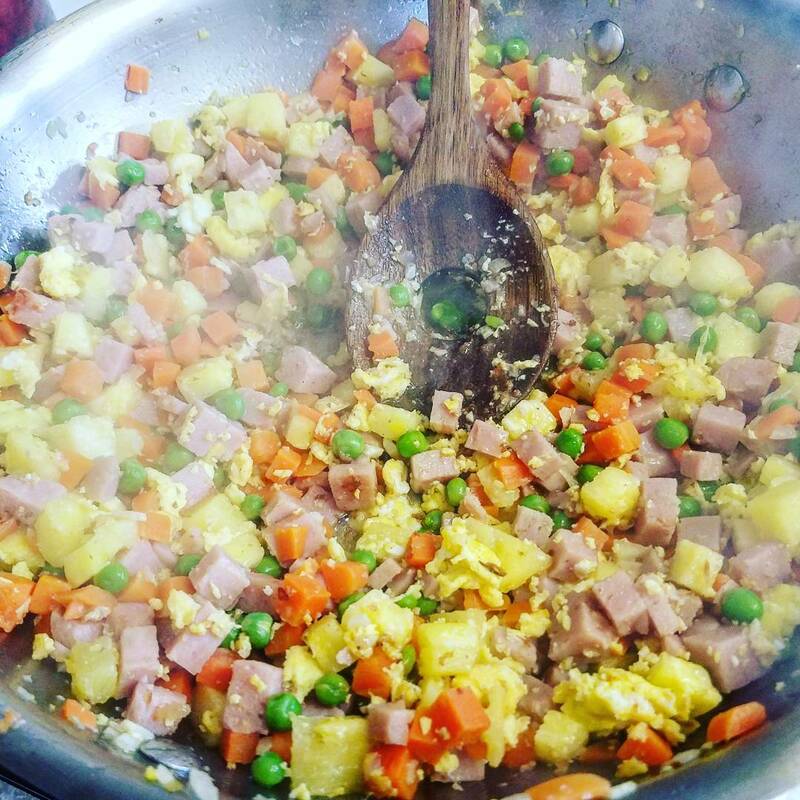 For my Spam lovers… the salty fried flavor that comes from Spam really is perfect for fried rice. But hey, you probably already knew that. 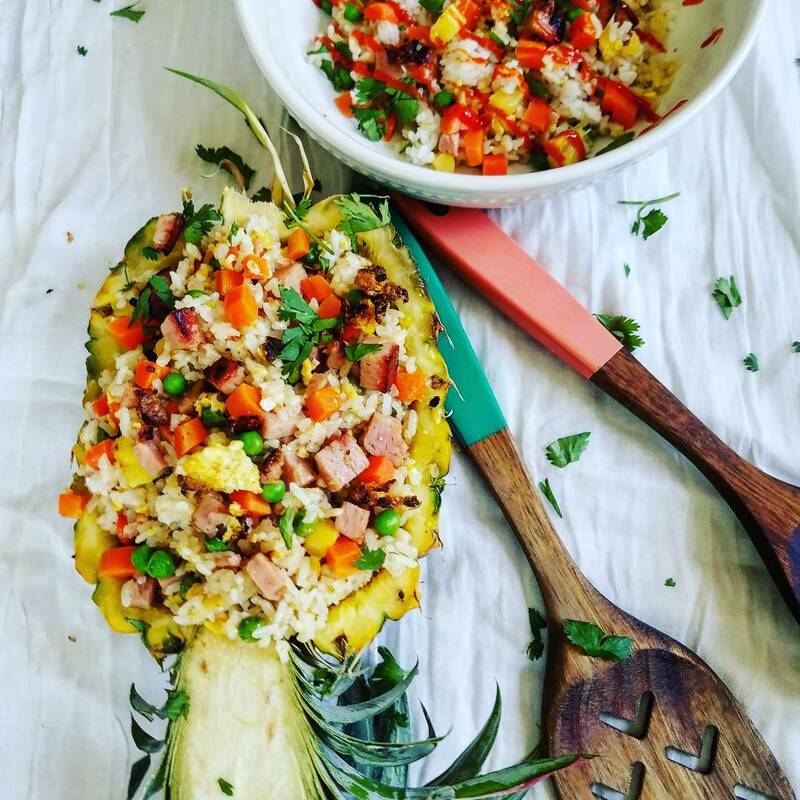 The addition of the pineapple adds that sweet and salty flavor combination that will have this craveable dish on your mind all day long. 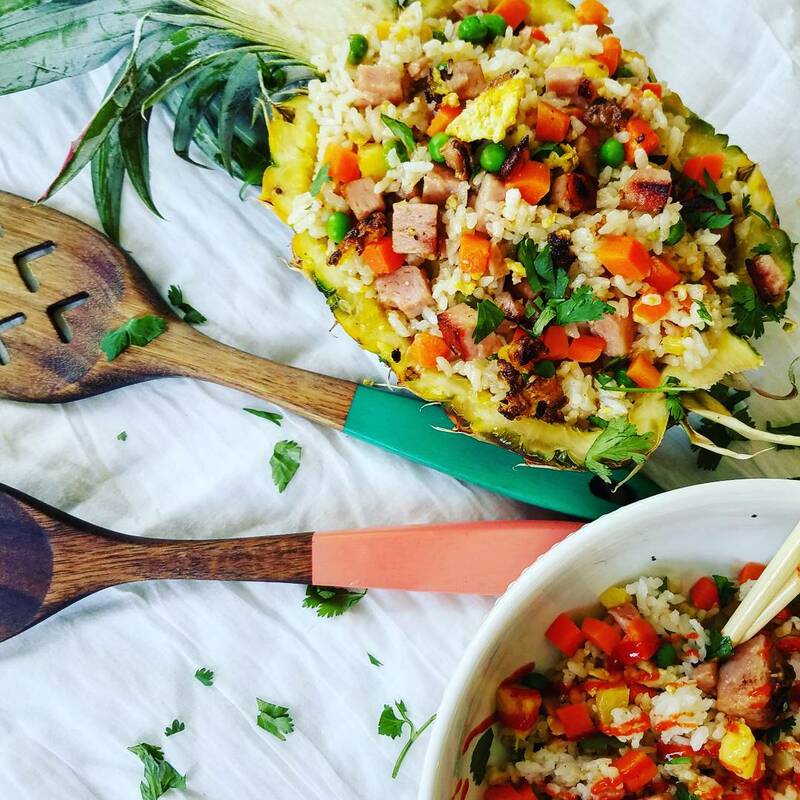 Fried rice is already awesome, so we are just enhancing its awesomeness with some elevated flavor. I posted this on my Instagram Story when I was cooking it and I had multiple people message me about how excited they were for this recipe. "Spam fried rice is my favorite!!!" For my spam skeptics…Do not get me wrong, there is a large part of me that hesitates to eat or cook meat that can exist in a can, without refrigeration for extended periods of time. If you read the Spam label, it begins with pork and ham. Then followed up with salt, water, potato starch, sugar and then some sodium nitrate for preservation. Okay, some of my fears have been put to rest. Don’t judge it when you first open the can. The flavor of said Spam completely transforms when you pan fry it. Just give it a go. Please. For me? 1. 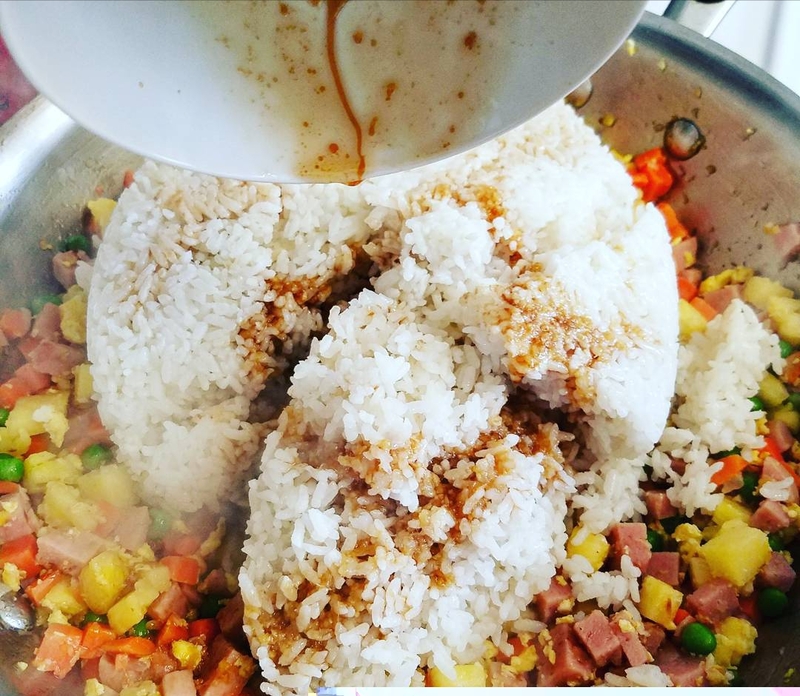 Add the ingredients to yourrice cooker and give it a quick stir. 1. In a wok like pan, melt 2 tbsp of butter. 2. 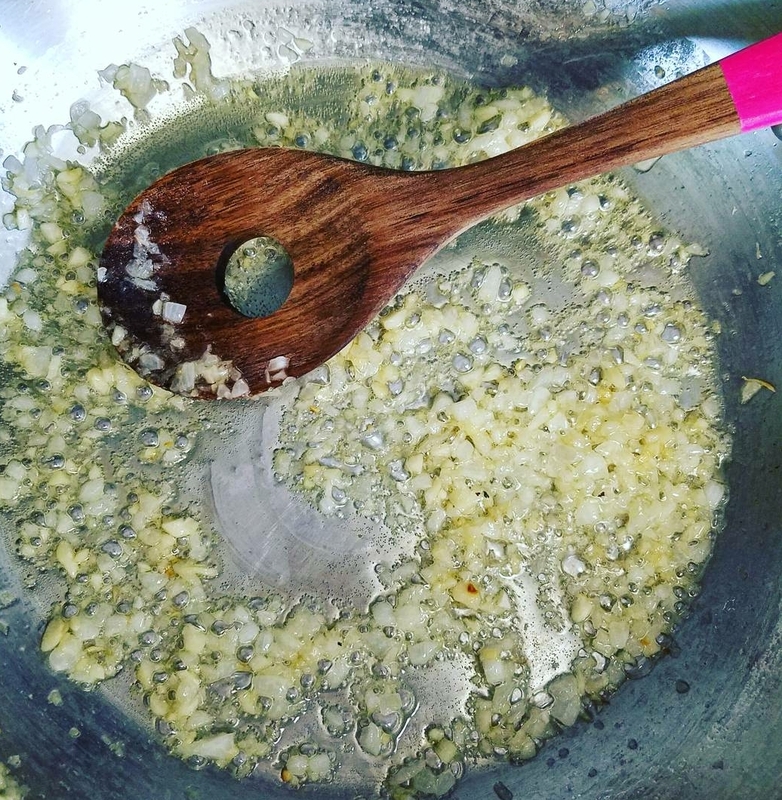 Add finely minced garlic and onion and cook until fragrant and transparent. 8-10 minutes on a low heat, stirring occasionally. 3. Add the other tablespoon of butter and allow it to melt. 4. Turn the heat up and add the beaten eggs. 5. Allow them to cook fairly thoroughly before you begin to divide it up into smaller pieces. 6. Dice up your Spam and add it to the pan. 7. If you give it time, the Spam will get really crispy on the outside. So be patient. Allow it to cook for 3-4 minutes before stirring. Unless your pan is super hot for some reason and everything is burning. Haha. 8. Add your frozen peas and carrots. 9. Add your diced pineapple, 1/4" – 1/2" cubes. 10. In a separate bowl, use a fork to whisk soy sauce, fish sauce, sesame oil and ginger paste. 11. Add your rice to the pan and then pour the liquid in as well. 12. Stir everything together so that it looks pretty well mixed with everything evenly distributed. I like to keep it cooking like this for 3-5 more minutes so that the heat helps to cook the flavors together. 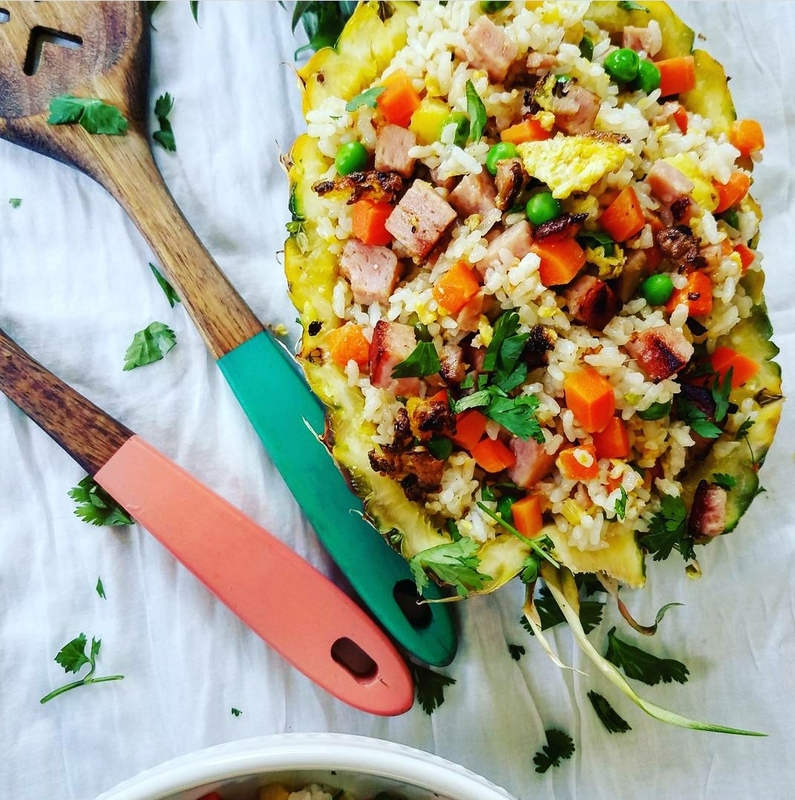 This entry was posted in Appetizer/Side, Entree, Uncategorized and tagged appetizer/side, entree, Hawaiian.